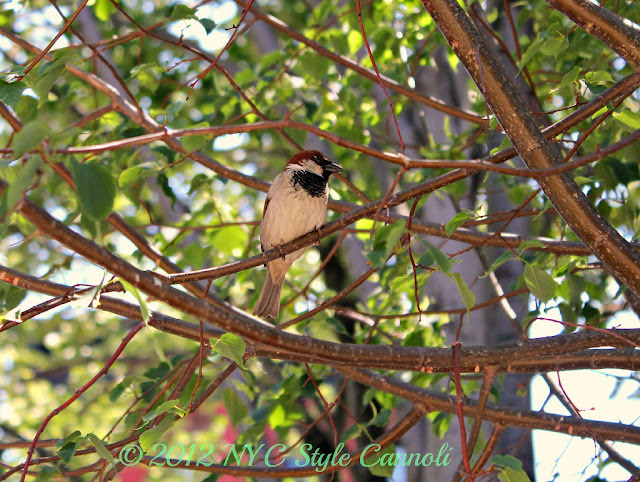 Photo Gallery Tuesday "Birdie in a Tree"
Sitting in a park in the West Village, we saw this little bird in a tree. So sweet and just tweeting away. I think people may be shocked there are many little parks throughout New York City. If anyone knows what type of bird this is, please let me know. How lucky to live in the West Village! Have a fabulous Tuesday!! a sweet little sparrow ... back from my get-away and struggling to catch up .. hey!! !